Beauty trends nowadays are almost as fast-paced as stock market values. We see the emergence of routines, miracle products, different skin therapies, routines and their disappearance all within the blink of an eye. Partly, the reason for this is our never-ending pursuit of good skin. Amidst the wave of new skin care culture, one particular routine that is taking the aesthetic world by storm is the “10-Step Korean Skin Care Routine“. It is all everyone seems to be talking about. If a while ago, you were feeling proud for having washed and moisturized your face in the morning in the name of skin care, today, followers of this routine are likely to put you to shame. Originally gaining fame in Seoul, South Korea, this extensive but essential skin care routine is a part of the beauty empire known as “K-Beauty”. It helps that Koreans are world renowned for their obsession with perfect skin and the aesthetics in general. Often jokingly called the “home of plastic surgery”, the country has also churned out miraculous solutions to achieve the best skin possible; this has helped keep the country on the map for skin care. However, rarely can we distinguish between the myths and truths surrounding this routine. So to what extent can it be trusted? And what is the actual routine? The routine is a product heavy one, with particular emphasis given to the following criteria: Brightening, because that is the ultimate sign of healthy skin. Sun protection, because according to Korean experts the sun is a nemesis to the skin that can cause irreversible damage at times. Also, cleansing and replenishing, because it is believed that the skin requires products to replenish its pH balance and other vital oils and essences for beauty-enhancing purposes. Cleansing: as it is with any normal skincare routine, this 10-step routine also starts with cleaning the skin and ridding it of any dirt and debris that inevitably accumulate on the skin. This helps allow oxygen circulation for your skin, which is required for the skin cell regeneration (1). In this routine, the cleansing is a two-fold process, once with an oil-based cleanser that removes heavier debris followed by a water-based one that leaves the skin feeling lighter and cleaner. Exfoliator: although not always a mandatory step, especially for the sensitive skinned people, exfoliating is the best way to get rid of dead skin cells and freeing the pores in your skin. This routine uses products with ingredients rooted in Asian skincare and medicine. Research says that the removal of the outermost skin layer referred to as non-nucleated skin is integral to maintaining skin health (2). Without this form of desquamation (peeling/removal of skin), any routine is only half successful. Toner: this step helps maintain the pH balance of the skin, and more importantly it hydrates it (3). A comparison to understand the need for this step is to think of the skin as a sponge. Just as a dry sponge finds it hard to absorb liquids, similarly the skin when dry rarely absorbs effectively. Hence this step prepares the skin for the following steps in the routine. Essence: this step is sometimes specific to Korean skincare because it is a hybrid product that crosses over both toner and serum. It both hydrates and skin and helps it regenerate, with hyaluronic acid and glycerine (4). One of the techniques native to this skin care routine is the method of application. Instead of the usual rubbing, Korean skincare swears by only tapping and lightly slapping the skin to stimulate the skin to absorb the product effectively. Ampoules and serum: this is the treatment heavy stage of Korean skincare, packed with active ingredients that are meant to nourish the skin. More potent than a serum, ampoules can sometimes be replaced with another similar treatment product in the routine (5). But this is an essential stage in the routine for which the previous stages prepare the skin. Sheet Masks: these are a different form given to serums, where a leave on a mask for 20 minutes is meant to nourish and refresh the skin with its active ingredients. They are customized for different skin types with specific ingredients. It is at this stage that many myths about this routine arise. For instance, all those who are grossed out by the idea of applying “snail goo” on your face need to realize that yes, this is happening. In fact, snail mucus is an active ingredient often found in sheet masks with proteins and hyaluronic acid, also so is bee venom, which helps trigger collagen production (6). Eye cream: this is a vital part of the routine that is specific to one part of the face. The area surrounding the eye has very thin skin under which sebaceous glands (oil producing glands) don’t usually exist. This means that without natural oils to keep the skin elastic and supple, it is vulnerable to dryness and elastosis (losing its elasticity) (7), which then causes crows feet and wrinkling. However, the slight irony is that this cream when in contact with eyes causes irritation and must be rinsed out. Moisturizer: here is a stage that everyone knows of, and is relatively simple. Korean skincare routine prioritizes moisturizing of the skin and believes that this, along with sun protection is the best way for the skin to be treated on a day-to-day basis. Sun protection: Korean skin experts and locals would have you believe that the sun is the biggest enemy of the skin, which has the ability to severely damage it. This may be why Korean skincare routines always wind up with a form of sunscreen lotion with a high SPF value. Although they are correct, other western practices to show that this isn’t the sole reason for skin damage, dispelling one of the rare myths. In totality, Korean skincare has become a widely proclaimed and accepted one. 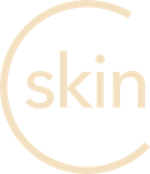 This is partly because it consists of stages that are individually accepted by skin care specialists. One of the myths about the routine is the safety of the more exotic ingredients used in the products. However, the Korean skincare industry is one that places high quality above all else, and in almost all cases, the ingredients are tested and approved for an application. This is just an introductory look at the extensive world of Korean skincare routines. The only question that is repeatedly asked is, “aren’t these too many products for the skin?” and this has experts divided. Although some dermatologists do agree that overly subjecting the skin to products may put it under duress, others firmly hold the opinion that it ends up doing well for the skin. From a look at the momentum, it seems to be gaining in America and rapidly around the world, it looks like one that might stay around for a while.